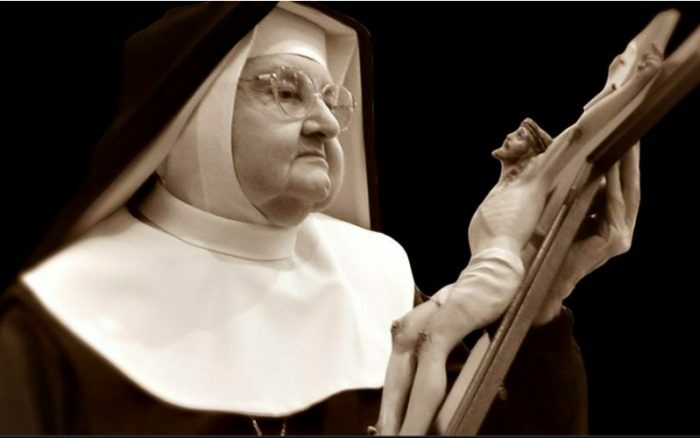 We are so grateful for Mother Angelica! The beautiful prayer below is an excerpt from EWTN Founder Mother Angelica’s book, Ad Lib with the Lord. It is especially helpful when you’re having a bad day! “O God, my mind whirls around in confusion and my soul seems destitute of all consolation. It is as if all the world and all my life wore telescoped into one moment and I carry the burden of it all. I cannot see any future except tomorrow being another today. All my yesterdays crowd around me, some accusing and some regret filled. It is like a prison with a thousand voices shouting for attention. Divine Jailor, You have the key to release my soul from the prison of discouragement. Unlock the doors and let me roam freely into the regions of Your love. Deliver me from the tyranny of my own will.